As the opening narration says, apparently Korra and Mako are crazy for each other. Except Mako has a girlfriend now! How will this completely foreshadowed, and absolutely crucial development resolve? After getting jealous of Mako and Asami, Korra gets bad romantic advice from Jinora, Iki, and Pema. She confronts Mako after a near perfect win for their team. She tells him how she feels, but Mako doesn’t return her feelings. 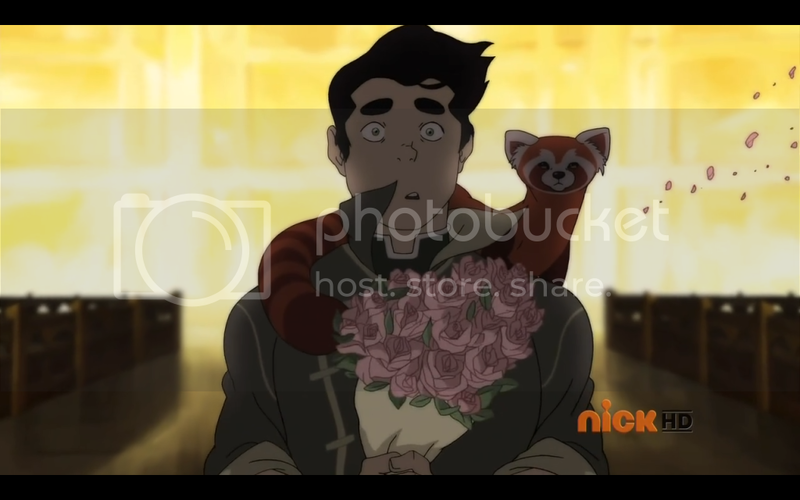 Bolin, who asked Mako’s advice about possibly dating Korra earlier, asks Korra out on a date. The two go to a water tribe noodle joint, and run into the Wolf Bats, the reigning pro bending champions. 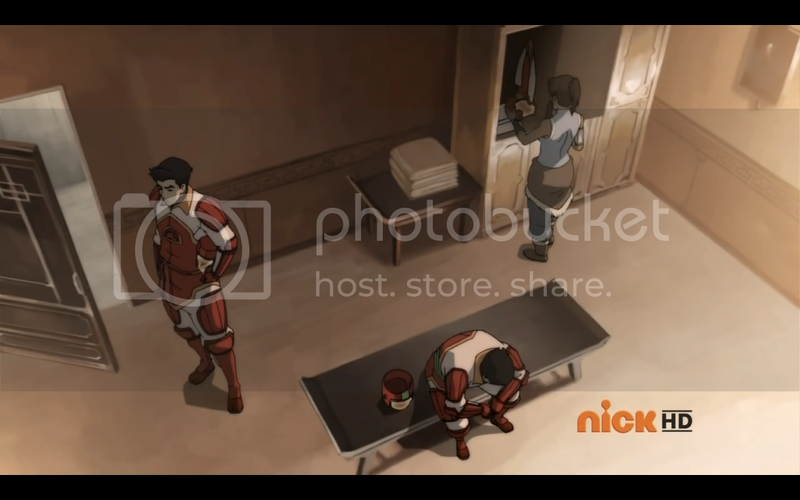 Korra scares them away with Naga, and she and Bolin continue their date. 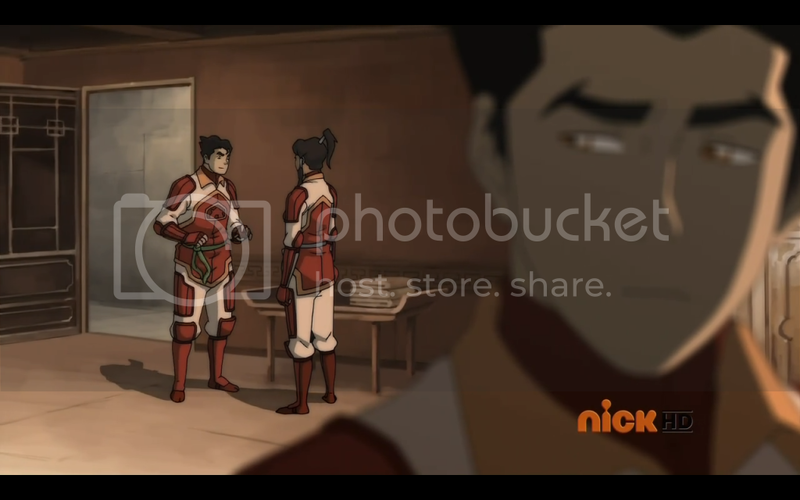 Mako later accuses Korra of messing around with Bolin to get him jealous. 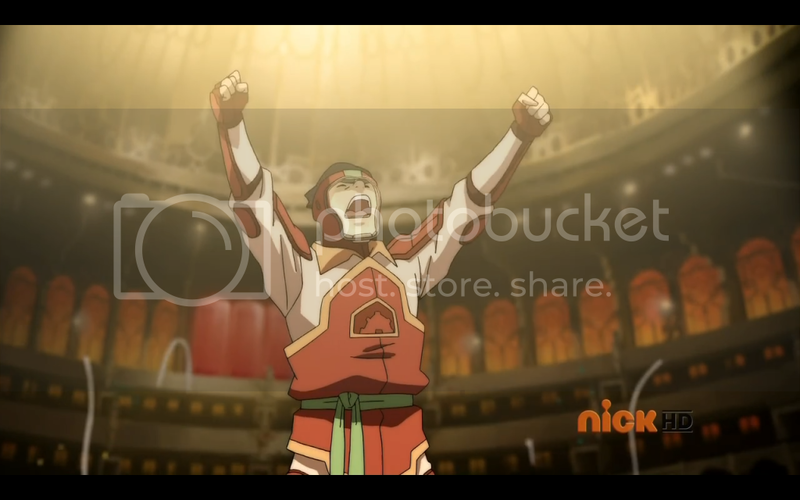 The fallout between the two leads to them almost losing the game, with only Bolin managing to pull his weight and secure the win. 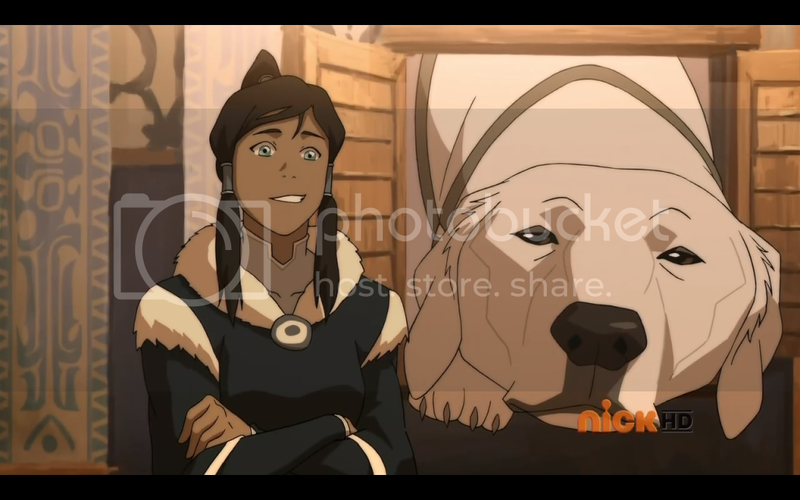 After the game Mako explains to Korra that he does like her, but he also likes Asami. 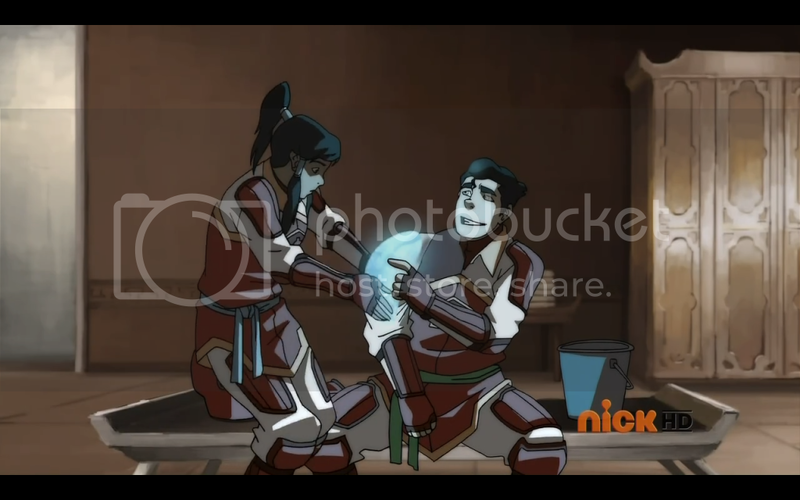 Korra kisses him, and he returns the gesture. 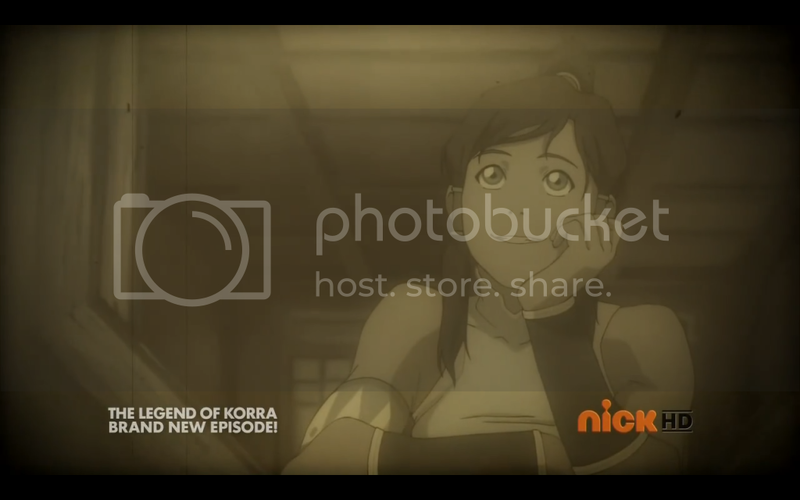 After they break apart Korra spots Bolin, and what follows is a legitimately, sincerely, and truly heartbreaking moment. Dammit! You ruined the moment! After Bolin drowns his sorrows in noodles, the team does terribly in their quarter final match. 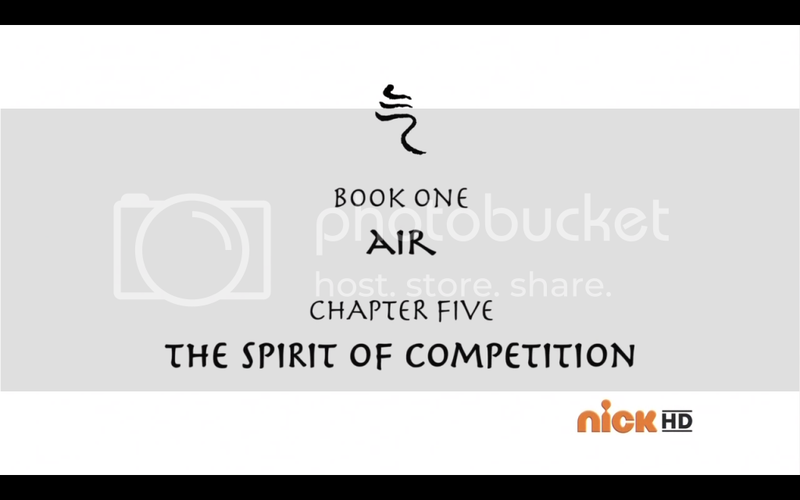 The two brothers are knocked out of the ring, but Korra manages to stay in and win the game. They all apologize to each other and decide to stay friends. When did my Avatar turn into Dawson’s Creek!? See, what happened here is that everyone knew a love triangle was coming between these characters, it was blatantly obvious, but NOT because of anything that actually happened in the show. No, it was obvious because of the fandom we’re dealing with. My best guess is that Mike and Brian decided to just assume their fans would start shipping before the show even aired, and then they didn’t bother to actually set up the idea that these characters had feelings for each other. I will admit that there were a few small moments in prior episodes, but nothing concrete enough to justify the existence of this episode. It feels like the entire episode was added in for the sake of the many, many shippers that have sprung up around this series. Was it necessary? Absolutely not! Was it fun to watch? No! Did I laugh? 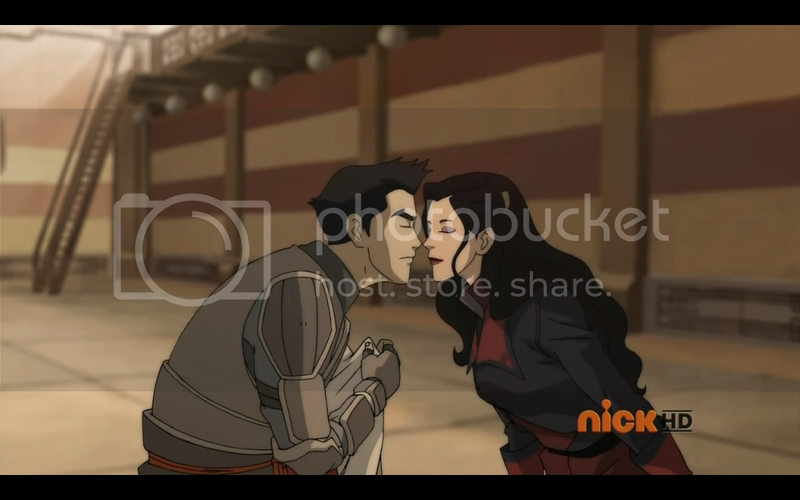 Well…okay, yeah I did laugh during the scene where Bolin finds Mako and Korra kissing. But right before that I felt so horrible for him! 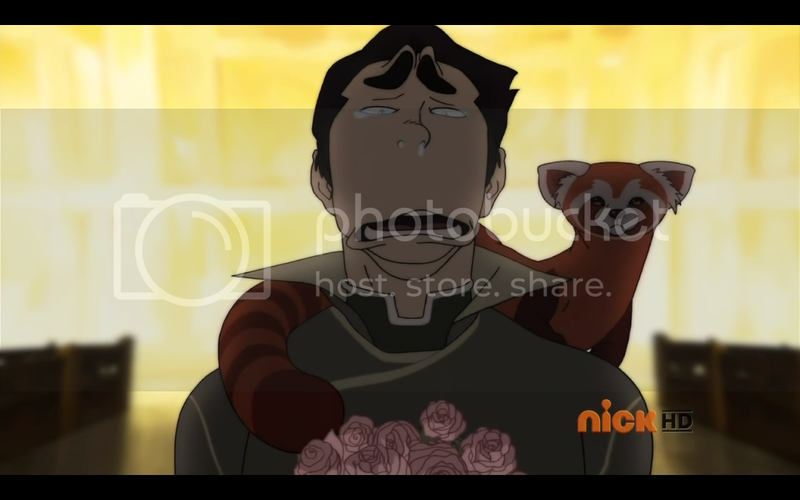 It really was a heartbreaking scene, and then Bolin started crying and running like…well…like a little girl. The shift was so jarring that I laughed, but it was very, very uncomfortable laughter! The ending, with them all getting along, and the conflict being resolved within the episode, makes it feel like so much more of a waste. Plot elements have been carrying over into other episodes, ie/ anything involving Amon. The fact that the romance elements weren’t carried beyond this single episode, nor were they mention before, makes it feel like the whole thing was a concession for the shippers, or at least there to mess with them. And in a series with only twelve episodes, it’s the biggest waste ever. 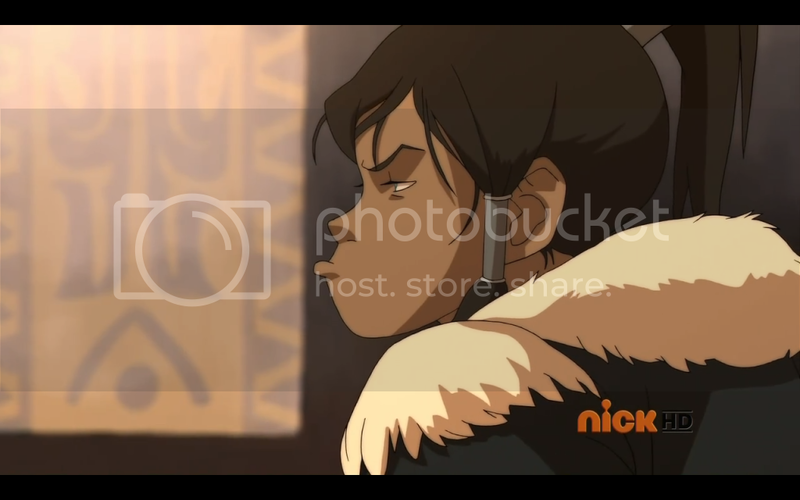 That, and it makes Pema look like an idiot. Sure her advice may seem reasonable when compared to that of her daughters. But one does not just admit their feelings to someone without first being sure it won’t ruin the friendship! Heck, look what happened! It wasn’t an atrocious episode, but it was pretty bad. With the proper development it would have worked, but without said development it feels forced into the plot. Completely unnecessary and not an episode I plan to watch more than once or twice. Support the show, Buy the Stuff! Previous Post:Anime Reviews: Medaka Box Episode 06 – I don’t expect you to understand. Next Post:Anime Reviews: Medaka Box Episode 07 – Does Everyone Do This? // My own tune! !